Chanté (she/her/hers) is Founder, Executive Producer and Host of The Darkest Horse. She is known for having big ideas, being the ultimate dot-connector with an eye for spotting talent and uses the power of convening to catalyze change. By day she wears the hat of D&I Expert and Executive Talent Consultant (aka headhunter) who partners with healthcare innovation companies, emerging tech startups and VC/PE firms throughout the United States helping them attract & retain top talent. In addition, she serves as Fundraising/Development Consultant at Scarleteen; Contributing Writer at Futurithmic and trusted Advisor to a handful of early-stage start-ups and their founders. Her expertise is in Organizational Development, Social Innovation, Health & Well-being and Community Engagement. In a previous life, Chanté’s work centered around cultivating strategic alliances between public and private sector leaders to reduce public health inequities and improve population health outcomes. She earned a Bachelor of Science in Nursing (BSN) from Mount Mercy University and a M.A. from St. Catherine University in St. Paul, MN. Chanté is a fierce advocate of equity & inclusion; gender parity and social justice initiatives. She is on a mission to learn the backstories of underrepresented leaders and share their voice with the world. She despises arbitrary rules so if she's not questioning them, she's probably breaking them! Rada (she/her/hers) is our Co-Host and resident mastermind. Whenever we need something done we assign Rada, whose nickname should probably be "The Darkest Ninja" because she's always prepared, nimble on her feet and extremely efficient! Not only does she keep us on-task, she is known for being a data connoisseur and has gift of weaving big concepts together. In addition to staying busy with TDH, Rada maintains a blog and serves as Director of Membership Strategy at Oak Street Health. 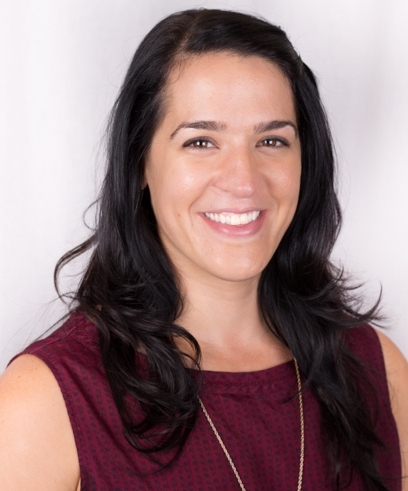 She has 10+ years experience of working in healthcare -- she began her career at Huron Consulting Group on their healthcare practice team and spent nearly five years at athenahealth, and most recently has worked with health tech startups NowPow and Medecipher. When she's not riding her bike, playing rugby, or traveling, Rada is an active LGBTQ advocate. While at athenahealth, she proudly led the employee resource group and has since gone on to deliver customized D&I workshops for organizations/teams around the country. You can find out more about that work, as well as her coaching and facilitating magic, on the "Offerings" page of her website. Nicole Tay (she/hers/her) is Co-Host and Producer of The Darkest Horse’s new series, Horse Power⚡️, that will be unveiled mid-2019. Nicole brings a multitude of talents and flair to the TDH Team. By day, she thrives as a Copy Editor, Consultant, Speaker, and Thought Leader in blockchain technology and healthcare. Her subject-matter-expertise resides in patient-owned clinical data, clinical workflow, and overall implementation of blockchain technology in the pharmaceutical and healthcare industries. In addition, Nicole is an Advisor to Science Distributed where she leads NYC's Blockchain and Healthcare Meetup in association with Blockchain in Healthcare Global. 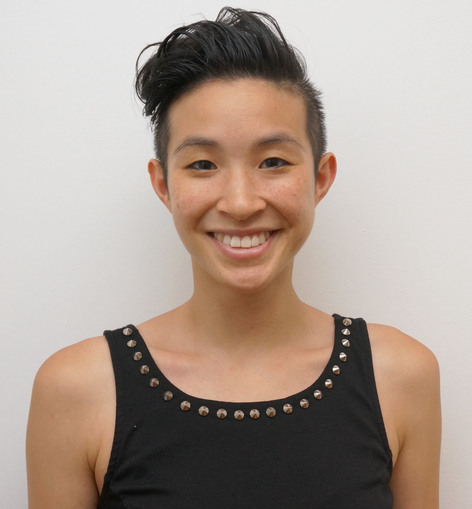 As a queer woman of color, Nicole is passionate about using blockchains and other emerging health technologies to bolster underserved communities. In her spare time, Nicole writes and directs short films, of which have won recognition at a number of film festivals. She received her MPH in Epidemiology with a focus on Social Determinants of Health from Columbia University as well as a Bachelor of Science from Wellesley. Lauren (she/her/hers) is a purpose-driven leader that is intensely focused on empowering people with the tools and resources to create authentic professional and personal experiences. She joined The Darkest Horse team because she is committed to supporting the development of a platform that elevates the critical stories and voices of people that have been overlooked and have overcome significant odds to achieve success. Lauren’s curious spirit drives her ability to ask powerful questions in a disarming, yet effective way. Her approach often challenges TDH team to view ideas and issues from new and different angles. Her passions, capabilities and projects are varied and serve as a testament to her thirst for continuous growth and improvement. Outside of TDH project, Lauren’s other current initiatives include: independent consulting work for clients of all sizes -- i.e. startups to Fortune 30 leaders; social impact entrepreneurship with QSPACES; and publication of a blog with content centered around understanding the people, places and phenomena that can empower us to live our lives more authentically. She's a SixSigma Green Belt, holds a Certificate of Project Management from Emory University, and is a certified Business Analyst.